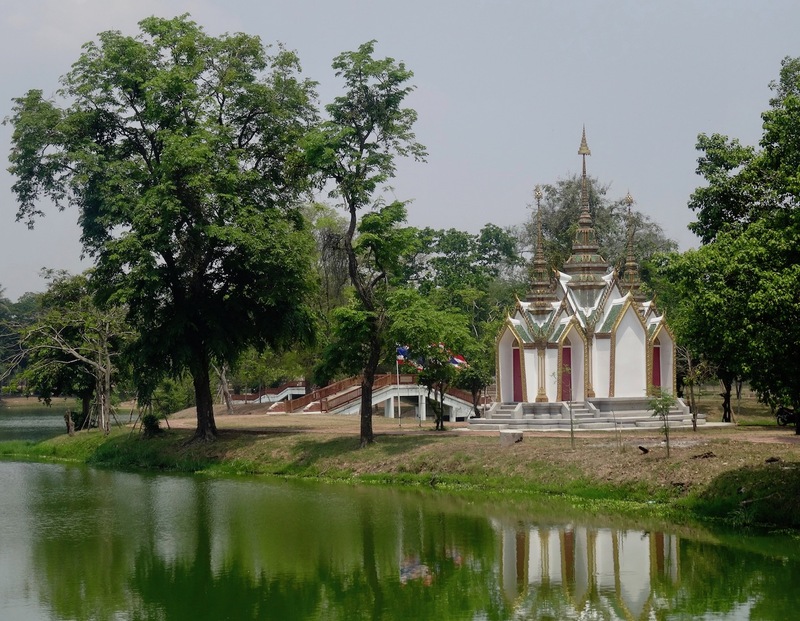 My 5: Cool Spots Around Ayuthaya Historical Park, Thailand. 1. April 2015. A day spent touring Thailand’s amazing Ayuthaya Historical Park throws up a seemingly infinite string of architectural gems around every corner. Dating back to 1538, the magnificent and nightmarish-to-pronounce Wihaan Phra Mongkhon Bophit Temple lies adjacent to the ruins of Wat Phra Si Sanphet. A huge bronze Buddha (one of Thailand’s largest at 12.15 metres high) sits inside. Unlike many of the ruins the temple is free to enter! 2. April 2015. 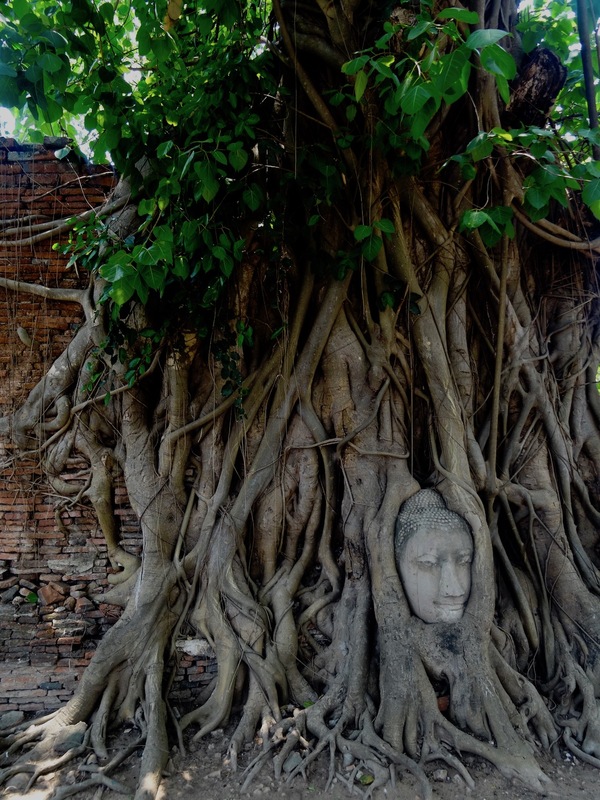 Another of Ayuthaya Historical Park’s most popular temples is Wat Phra Mahathat, chiefly because of this cool Buddha head entwined in the roots of an old tree. Anyone wanting to get close to the head should crouch down low so that they’re at head level, or even lower. To tower above it is seen as disrespectful, something the stern-looking park warden will be quick to reprimand you for. Entrance to this complex of ruins is 30THB (£0.75/€0.81/$0.94). 3. April 2015. Another Ayuthaya Historical Park highlight is this massive reclining Buddha in Wat Lokayasutharam. Located a fair bit outside the central zone, it can be tricky to find despite being clearly marked on local maps. The temple itself is small and unremarkable, it’s all about the east-facing Buddha, known locally as Phra Bhuddhasaiyart. It’s thirty-seven meters long and eight meters high. 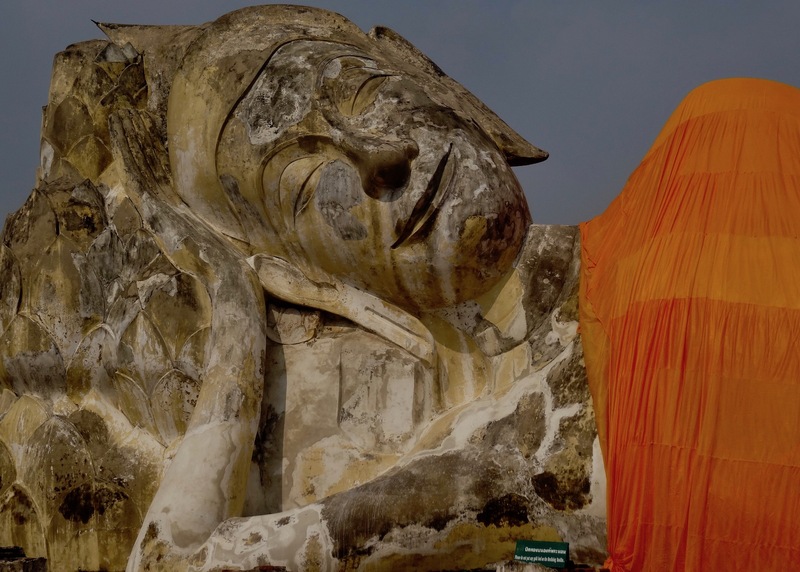 This fantastic Ayuthaya spot is free to enter! 4. April 2015. This was one of my favorite spots from the day. It was so pretty, deserted and peaceful I just had to stop and rest by the riverbank for a bit and breathe it all in. When I eventually sauntered over I found the unmarked little temple closed. 5. April 2015. 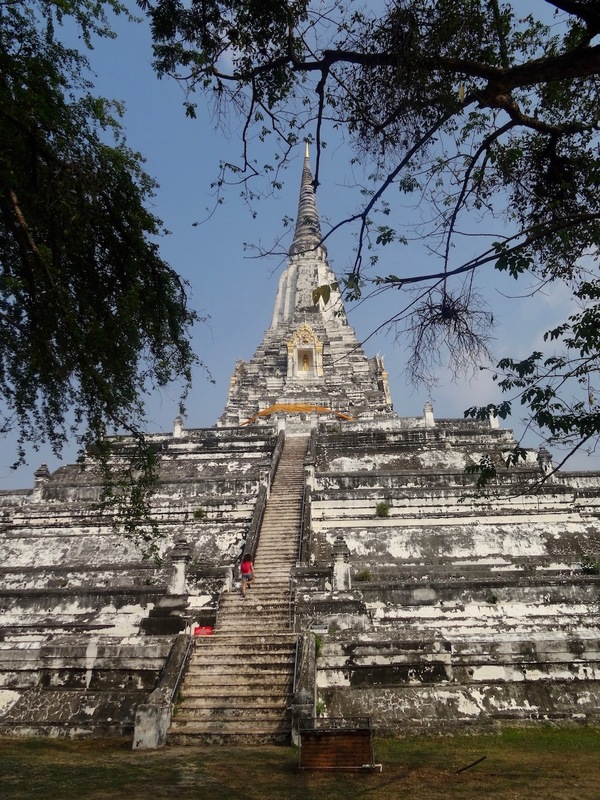 It’s a bit of an expedition to reach the breathtaking Phu Khao Tong Chedi, located beyond the park in the village of Phukhao Tong about thirty minutes away by bike. The climb up to the top only gets you to the chedi’s halfway point, you can’t go further. But fear not, this still makes for excellent views across the surrounding rice fields. There’s also a little shrine in the centre of the viewing platform, though accessing it via the low, narrow corridor is definitely not for anyone with even the slightest sense of claustrophobia! For more on the ruins of ancient Siam, check out my other articles from Ayuthaya Historical Park. Or maybe delve further afield with my stacks of 5s from all over Thailand. My 5: Wat Phra Si Sanphet – Ayuthaya Historical Park, Thailand. My 5: Bangkok to Ayuthaya By Train, Thailand.